I’m sure you’ve heard of Gorilla Glass by now. It’s the name of the technology that makes glass more resistant to scratches and dings. Although most of us know it because it's on smartphones and tablets, Gorilla Glass is also used on other devices and sectors in the industry. How waterproof is my phone? Does my phone have Gorilla Glass? Developed by Corning Inc., Gorilla Glass is a glass made from a material called alkali-aluminosilicate, which is formed by bonding aluminum, silicone and oxygen together. It’s not a material you’d find anywhere in nature, or rather, Corning started its development in mid-2005. It was designed to be resistant to damage and scratches, lightweight, and thin (0.4 mm thick). However, Gorilla Glass wasn’t the first advance Corning made in this sector. Formerly known as Chemcor, the company developed other types of resistant glasses that were used on household items, ophthalmic devices, and for car, aerospace and pharmaceutical applications. With smartphones, however, Corning's real success started in 2010. Although having technology that won’t break even if you hit it with a hammer, Gorilla Glass won’t make your smartphone or tablet unbreakable. Everything depends on the version of the Glass and a few other factors as well, like thickness. Therefore, it would be best to think about it as a technology that protects our cell phone's display from deep scratches and scrapes. The first Gorilla Glass was ready between 2005 and 2006, but its big debut really came with the iPhone. Apple released its device to the world in 2007 and, at the company’s request, the technology on its display was 1.5 mm thick and had an oleophobic coating, which minimized fingerprints and smudges. The iPhone wasn’t the only smartphone to have Gorilla Glass on its display though. Corning was able to get its tech onto about 250 devices in just the first generation. In 2012, Corning released Gorilla Glass 2 at the CES. The glass was just as resistant, but its main update was its thickness. The second generation was 20% thinner than the first model. In lab tests, it could hold up to 50 kg of pressure without cracking or breaking. In that same year, Gorilla Glass was included on 600 million devices. Since this version was thinner than the first, it let manufacturers develop lighter and thinner models of their phones. Both the Nexus 4 and the Galaxy S3 came equipped with Gorilla Glass 2. Gorilla Glass 3 glass brought even more resistance with it, unlike the previous version which was more focused on thickness. This is also the generation that introduced Native Damage Resistance (NDR) technology, which allowed the glass to handle even deeper scratches. According to Corning, the third generation prevented up to 35% of the scratches on the display. To commemorate the third version of their tech, Corning planned on increasing the resistance of its Gorilla Glass three-fold compared to older versions. They could do this thanks to a new manufacturing process. GG 3 was released at the CES 2013, and it came on models like the Galaxy S4, the Moto G, and the Moto X. In 2014, Corning presented its Gorilla Glass with a bold new objective. 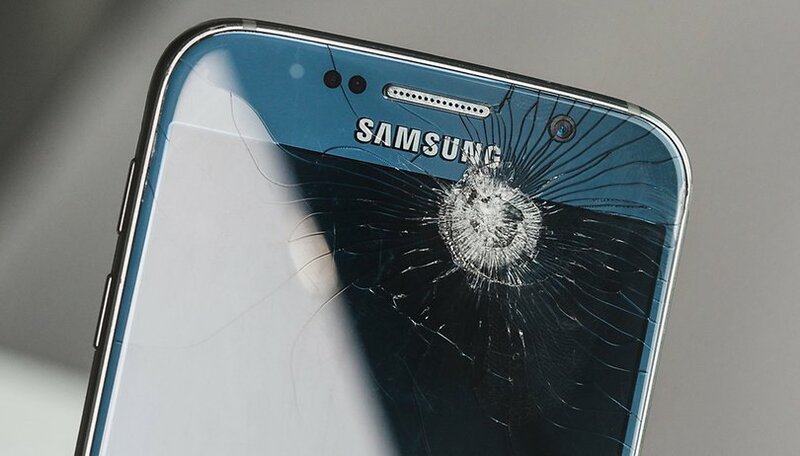 Through one of its surveys, the company found out that 70% of cell phone screen damage was due to drops, and so it began investing in reinforcing its glass. The GG 4 was developed focused on the idea of being resistant to drops. I’d rather not test my phone’s display to see whether Gorilla Glass really is resistant or not. In fact, according to lab studies, the fourth version of Gorilla Glass was twice as strong as its predecessor. Obviously, this tech doesn’t provide near the resistance to large impacts that the Moto ShatterShield on my Moto Force does. The Galaxy Note 5 and ZenFone 2 Laser are a few models that came with GG's fourth generation. The fifth generation was released focused on providing even more resistance to drops, and it delivered with four times the strength as the previous version. Corning has released that in lab tests, the GG 5 has survived drops of up to 1.6 meters. That said, the manufacturer also guarantees that its technology can prevent cracks in up to 80% of falls onto extremely hard surfaces at the height of 1 meter. In the past, there were changes in which devices went to which countries. Most manufacturers came with this scratch and scrape-resistant technology on their products, or they developed their own, as Sony did. Dragontail is a similar technology which is widely used in Chinese companies. There are also screens made of mixing aluminum and sapphire crystals. On Corning’s website, there’s a section where you can choose a manufacturer and check to see whether your phone comes with Gorilla Glass and which version it is. In the past, it was normal for companies to swap out Gorilla Glass for other technologies with the goal of dropping the price in emerging countries. However, nowadays, that’s much less common practice. Check out the special section here. Does your Android have Gorilla Glass? and the million dollar question is, do we still need screen protectors? You absolutely do. GG3 has the greatest scratch resistance of all the Gorilla Glasses because GG4 and GG5 sacrifice some scratch resistance for greater impact resistance. However even with GG3, the surface of the glass is still prone to microscopic scratches and abrasions that reduce its dust resistance, oil/water resistance and impact resistance over time. With GG4 and GG5 being a little less scratch resistant a screen protector is more important than ever, and you can always replace the protector for less than 40 dollars if it becomes damaged. A screen, OTOH might cost you hundreds of dollars for replacement if you're using a factory OEM replacement done by a competent repair shop which you may want to do if you have an expensive phone, as third-party screens tend to be of noticably inferior quality to the original screens. If you are unsure whether your phone has Gorilla glass or not you can do a simple test. Take a peanut and lay it in front of your phone. If the Gorilla appears and grabs the peanut you know what type of glass you have. My CAT Phone bats the peanut back if it's not shelled and salted.